Travel to the City of Three Cultures ... by AVE! 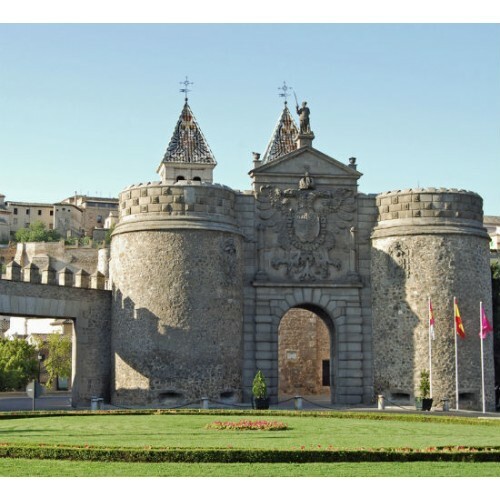 Activity: Panoramic tour though the city of Toledo. Round trip AVE ticket, welcome by our local guide Toledo station. Departure: Date to be chosen by the customer. Time: To be confirm. Start Location: Toledo AVE train station. Conditions: Book at least 24 h. advance. Languages​​: Spanish, English, French, German, Italian and Portuguese. 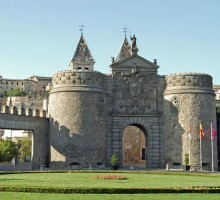 The historic center of Toledo sits perched on a hill over the river Tagus. The old walls and the layout of its streets contain an important HISTORICAL AND ARTISTIC LEGACY. The Romans built a fort at the place where now stands the ALCÁZAR. 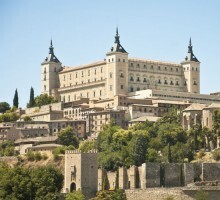 The Visigoths made ​​Toledo their capital in the S. VI. During the Middle Ages the city merged CHRISTIAN, MUSLIM AND JEWISH cultures, and from this period dates the most outstanding monument of the city: THE CATHEDRAL. In the middle of S. XVI, El Greco moved to Toledo, where still retains his supposed house and a large number of works. 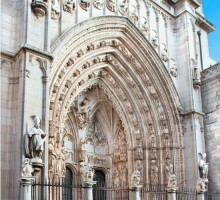 Therefore, Toledo was declared WORLD HERITAGE. 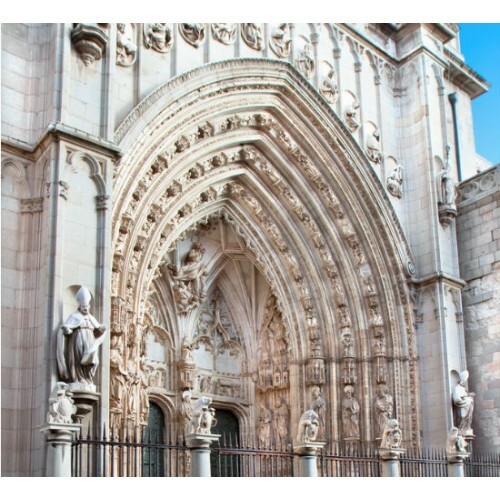 Your private guide will meet you at Toledo train station, with a sign with your name, in order to start the guided tour during aprox. 3h, touring the most important sies of historical and cultural interest. After the guided tour, free time. Please, check carefully the returning time of your train tickets. 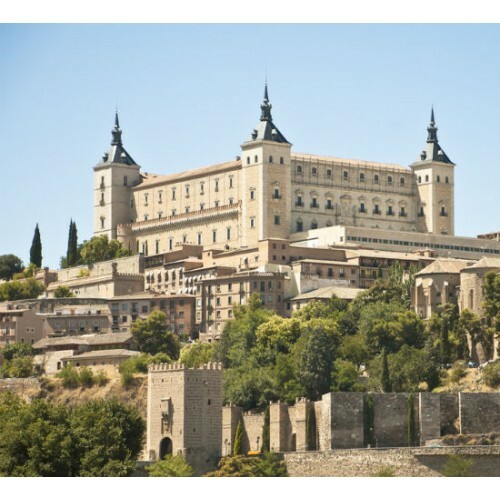 - Transport from Toledo city center to the train station is not included. - Train departures depends on the day (at 09:25 am approx.). Please, check carefully your train tickets. Reccommended to be in Atocha train station half an hour before the train departure. - The returning train depends on the day (at 17:25 pm approx.). Please, check carefully your train tickets. - A private guide will meet you at Toledo AVE train station holding a sign with your name.